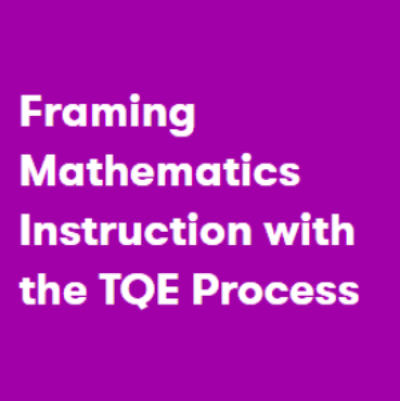 Attendees will be introduced to the TQE process and how it can be used to frame mathematics instruction with (1) TASKS that promote thinking, prompt discourse, and reveal misconceptions, (2) QUESTIONS that advance understanding and uncover errors, and (3) EVIDENCE that inform formative assessment. The session will be supported by a shared image of mathematics instruction. Last week at Global Math Kristin Umland talked about the Illustrative Math OER Curriculum. Click here to check it out! Also, if Podcasts are your thing, click here to check out former GMD Presentations in Podcast form! In that blog post, Michael starts with a reflection about his own experience as a mathematics student. I love “hearing” teachers talk about their lives as students—and Michael explained that when he was in high school and also when he started college, he was not the type of student to ask questions in math class (nor was he encouraged to be). 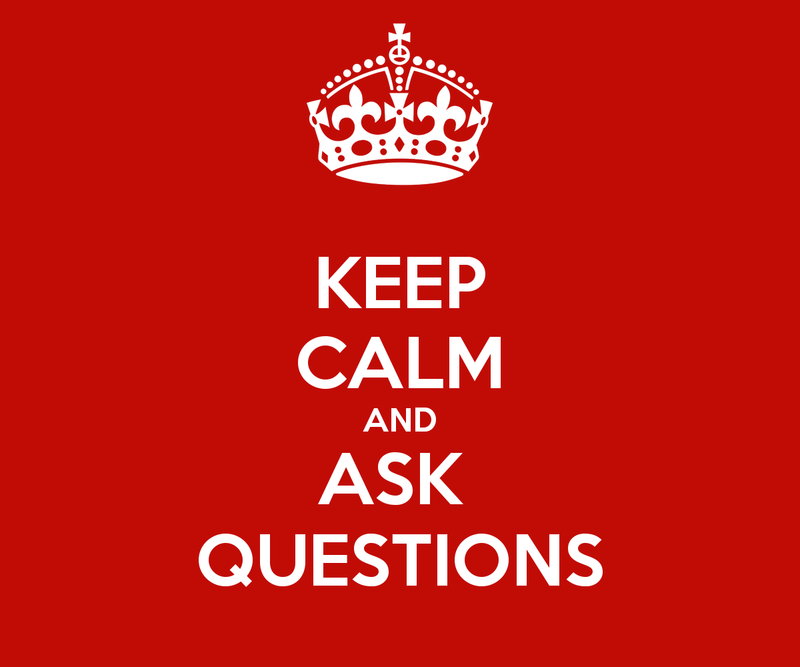 Later, he realized how important it is for students who are struggling to ask questions. And he took this realization and incorporated it in his teaching practice. He describes a 9th grader he taught some years ago, and how he handled getting this student to do just that. I love Michael’s persistence, and his expression to students about how much he cares about their learning. It’s really a wonderful blog post, and I encourage you to go over to his blog, have a read, read the thoughtful comments below the post, and add your own thoughts. Not to be confused with the Global Math Department, The Global Math Project (@GlobalMathProj) “aims to connect millions of students around the world through a shared experience of mathematics.” Global Math Week launches on 10/10/2017. 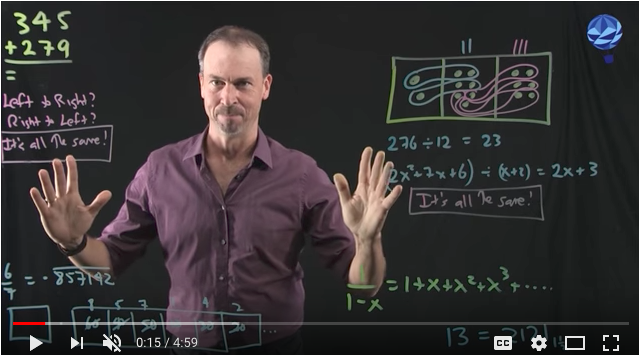 If you have not yet seen Exploding Dots from @jamestanton (also from The International Maths Salute fame), you will be in for a treat! It’s mind blowing!! 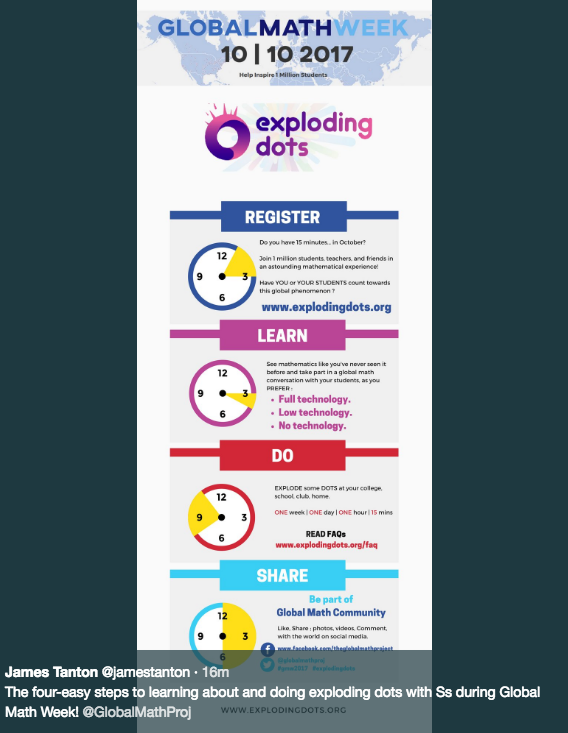 I was lucky enough to learn about this from Global Math Project ambassadors at a workshop this summer, and the participants could not believe that “exploding dots” could be used to teach everything from different bases to even polynomial long division! Click here to get a taste. Register here and you will get all of the info below. Learn with teacher guides, student handouts and more to download. Full technology: Start by sharing the following link with your students: (Available soon at www.explodingdots.org!) Have fun collecting kapows! as students play with the lessons! Play, pause and repeat at your own pace! No technology: Follow the teacher guides to use nothing but a chalkboard, just as James always does! Share something about your experience on social media. Join the global conversation on Twitter (#gmw2017 or #explodingdots) and on the GMP Facebook page. Click here for the teaching guides, and enjoy exploding some dots with your students of all levels! 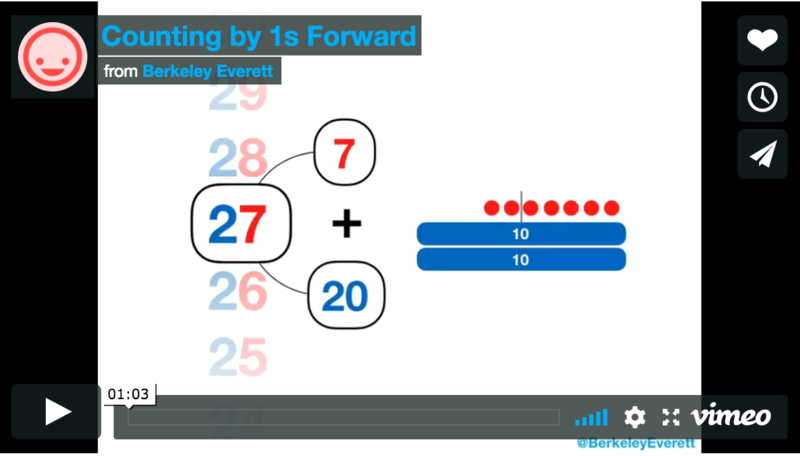 For the past few week BerkeleyEverett has been sharing some amazing visual tools that help generalize students thinking. He finally got around to it and is now hosting and sharing his ideas over at Math Visuals. He’s also asked for ideas on things to include so be sure to let him know. 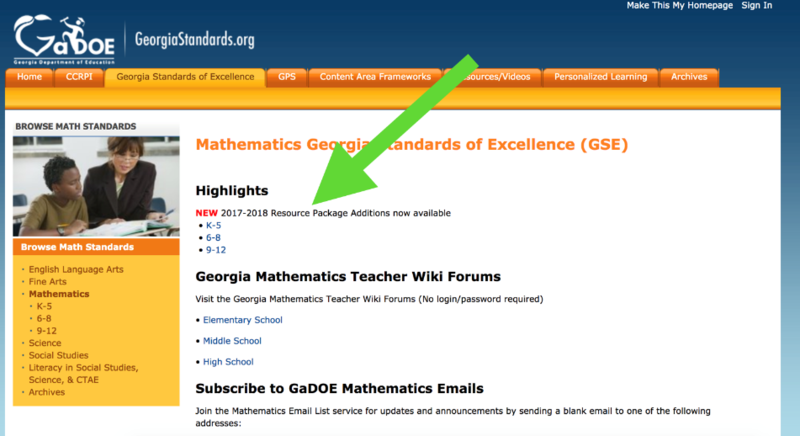 The Georgia Department of Education recently identified 5 difficult standards in each grade level K-12. They assembled a team of teachers from across the state to unpack and capture that standard being taught in a class using a video. They plan to keep adding to the library over the next year. The videos and resource package can be found on their webpage. 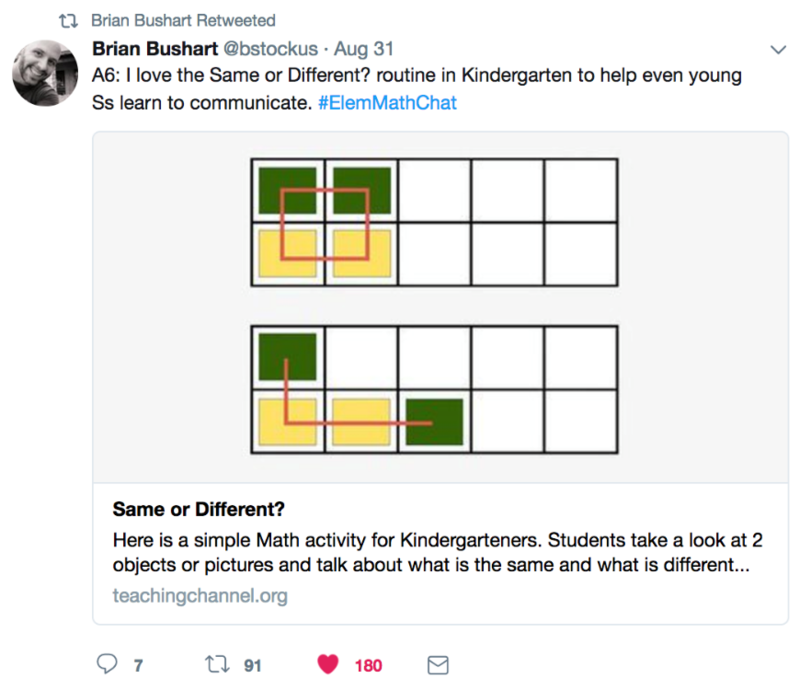 Brian Bushart shared a post during last week’s #elemmathchat. 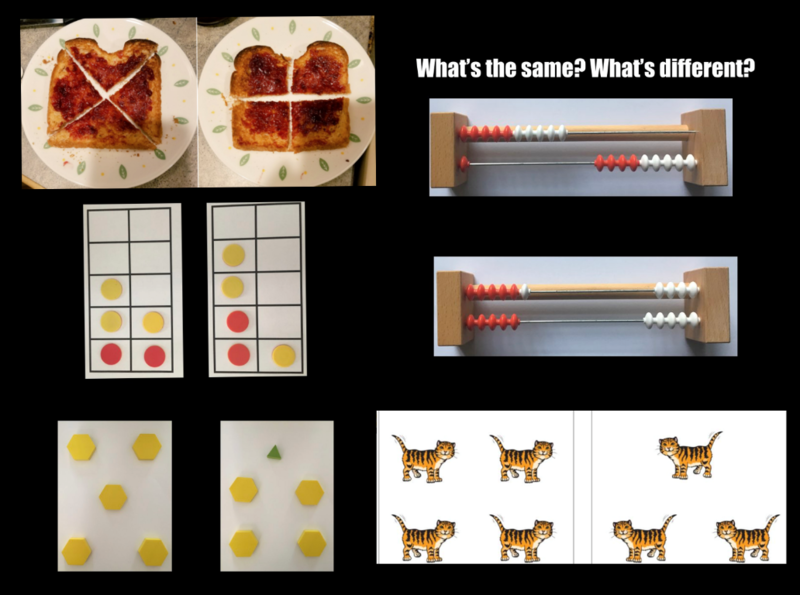 The result of that tweet left Brian and I sharing dots, animals, Rekenreks, toast, and ten-frames over the weekend. Just another awesome routine to help our youngest of mathematicians. Copyright © 2017 Global Math Department, All rights reserved.